In 2017, after celebrating its 70th anniversary, Best Western® Hotels & Resorts was in prime PR status, receiving global attention for impressive changes made during a brand refresh program. On the heels of a brand refresh, however, the company and its PR team knew that there was still work to be done, demonstrating the true change taking place within the Best Western system and finding unique ways to tell that story to the general public. Consistent consumer travel coverage and weekly trade media mentions certainly helped shift the public’s perception. That said, from a global business perspective, a distinct opportunity remained to leverage the brand refresh and position Best Western as an innovator. Best Western sought to identify ways to tell the story of evolution in technology, services and amenities. Simultaneously, the company looked for ways to generate positive thought leadership positioning for its President & CEO, David Kong, who led the award-winning brand refresh. Best Western charged its PR firm with: • Identifying a major national business media outlet that would engage with both the business community and travelers, underscoring its brand refresh and evolution; • Leveraging this media outlet to compel readers or viewers with stories of innovation in technology, services and amenities; and • Telling the Best Western story in a way that would attach a human element, positioning President & CEO David Kong as a change agent for the brand, the industry at large, and the global business community. The target audience for this initiative was national consumer/business media, reaching beyond the bounds of travel trade or consumer press and getting David Kong’s story – and the Best Western story – into the living rooms of consumers across the country. Best Western’s PR firm’s goal was to humanize BW, creating a sense of authenticity, personalizing the brand and telling its story in a national TV segment. The team sought out a show that had a fresh approach to storytelling and would reach the right people in a way that would resonate and drive credibility. The agency targeted MSNBC and its “Your Business” series, pitching an interview with President & CEO David Kong. After several conversations, the show’s producer confirmed interest. She was looking for a unique way to tell the story and leaned on the team for recommendations. The BW Premier Grand Canyon Squire Inn had just been named the #1 most-booked hotel in the world by TripAdvisor.com making it the perfect backdrop to film the segment. A full shoot schedule was prepared, the MSNBC team flew to Arizona to film, and the Best Western communications/PR team facilitated ensuring the right look, feel and messaging. Best Western Hotels & Resorts CEO David Kong is a change agent whose innovative approach and collaborative leadership style has helped transform the brand. Best Western is setting the pace for the lodging industry, including personalized service, unique amenities and leveraging technology to appeal to today’s travelers. 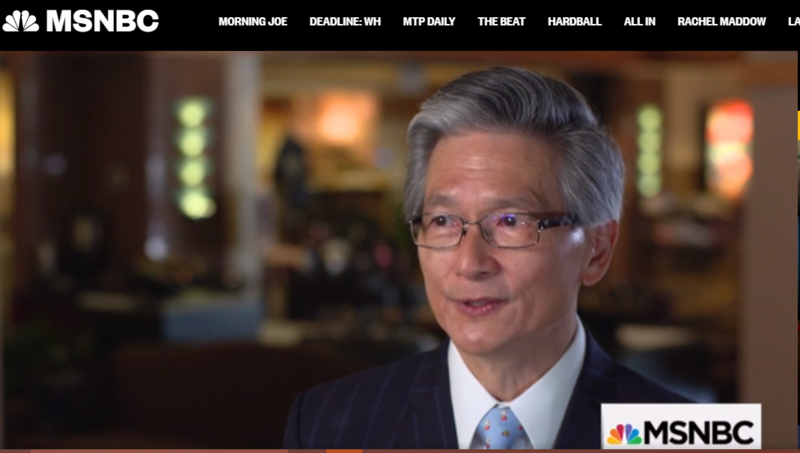 Best Western received a 3 ½-minute segment on MSNBC’s “Your Business,” reaching 2.4 million viewers. It featured President & CEO David Kong providing tips for business owners and prominently showcased the company’s thought leadership and innovative mindset on topics like in-room amenities/accommodations, technology, VR/AR and loyalty. B-roll showcased BW properties, the company’s virtual reality videos, Best Western Rewards® loyalty program signage and more. This piece achieved Best Western’s desired result, bringing the company’s CEO and story of evolution into living rooms across the country, and globally, with online exposure and social media posts on MSNBC’s platforms. The story was perceived so well that Hotel Management, a key trade outlet, ran it on their own site, after pursuing MSNBC’s approval. Between MSNBC and Hotel Management, this segment reached 2.4 million people, with an advertising value of $196,856.37.